"Doctorwine" has rated the wine "Montevertine Le Pergole Torte Toscana IGT, Tuscany, Italy" from the vintage 2001 on 27.10.2015 with 95 of 100 points.
" The color is a relatively light, a tenuous and twilight red, while the aromas are ethereal, recalling the East with delicate scents of spice and pansy along with a splendid note of black cherry in the background. The mouthfeel is a wrapping, caressing drape. " "Doctorwine" has rated the wine "Montevertine Le Pergole Torte Toscana IGT, Tuscany, Italy" from the vintage 2006 on 20.05.2014 with 94 of 100 points.
" The luminous red color of this wine become somewhat transparent once in the glass. The bouquet recalls Chambolle with its balsamic notes and those of incense and graphite that open to sensations of red fruit and crushed violet. The mouthfeel knocks you off your feet with its expressive force and drinkability. The flavor is insatiable and the length incredible. A great Sangiovese. " "Doctorwine" has rated the wine "Montevertine Le Pergole Torte Toscana IGT, Tuscany, Italy" from the vintage 2008 on 27.09.2012 with 94 of 100 points.
" This could almost be a Chianti Classico, now that it is allowed to be made with 100% Sangiovese, but Martino Manetti wants to keep it a simple IGT, in respect of the wishes of his father Sergio, who was sometimes polemic in demanding it be so. This 2008 is a noble example of elegance and what Sangiovese can be, if cultivated and made properly. A luminous ruby color, with an aroma of black cherry, tobacco, balsamic notes and slight spicy scents. Taut, agile, aristocratic with a long and subtle finish. In other words, a great wine. " "Doctorwine" has rated the wine "Montevertine Le Pergole Torte Toscana IGT, Tuscany, Italy" from the vintage 1999 on 08.05.2012 with 95 of 100 points.
" Made from Sangiovese grapes. A classic version, the result of one of the best harvests ever. The color is an intense ruby-garnet and the aroma is ample and articulated, ranging from classic scents of black cherry and violet, alongside more balsamic scents, underbrush, almost moist earth. The taste is harmonious and taut, an excellent acidity, extremely elegant tannins, and the finish is elegant and aristocratic, persistent, that makes one want to have another sip. A great wine. " "Doctorwine" has rated the wine "Montevertine Le Pergole Torte Toscana IGT, Tuscany, Italy" from the vintage 2004 on 08.05.2012 with 94 of 100 points.
" Made from Sangiovese grapes. A cool season. A garnet color. The nose is a little more crude and vegetal with scents of Mediterranean scrub brush and wilted flowers, myrtle and balsamic and toasted hints. The tastes is not as soft but very particular, with a return of fresh flowers and mineral touches. Less rich yet elegant, it needs time and should last for years. " "Doctorwine" has rated the wine "Montevertine Le Pergole Torte Toscana IGT, Tuscany, Italy" from the vintage 1997 on 08.05.2012 with 91 of 100 points.
" Made from Sangiovese grapes. A hot year that gave birth to bold and even slightly tannic reds in the upper Radda zone. The color is a ruby-garnet, quite intense and limpid. The bouquet is ethereal, complex, with scents of black cherry, a hint of resin, violet and a tad of tar. The taste is intense, slightly tannic, nicely upheld by its acidity. It finishes warm and persistent. " "Doctorwine" has rated the wine "Montevertine Le Pergole Torte Toscana IGT, Tuscany, Italy" from the vintage 2000 on 08.05.2012 with 91 of 100 points.
" Made from Sangiovese grapes. A surprise. From such a warm harvest one would not have expected it to have such elegant and pleasing strength. The color is a bright garnet. The enveloping bouquet includes black cherry, wild strawberry and hints of yellow peach. The taste is softer, very drinkable, certainly balanced, with tannins and an acidity that are less evident. It finishes warm and persistent. " 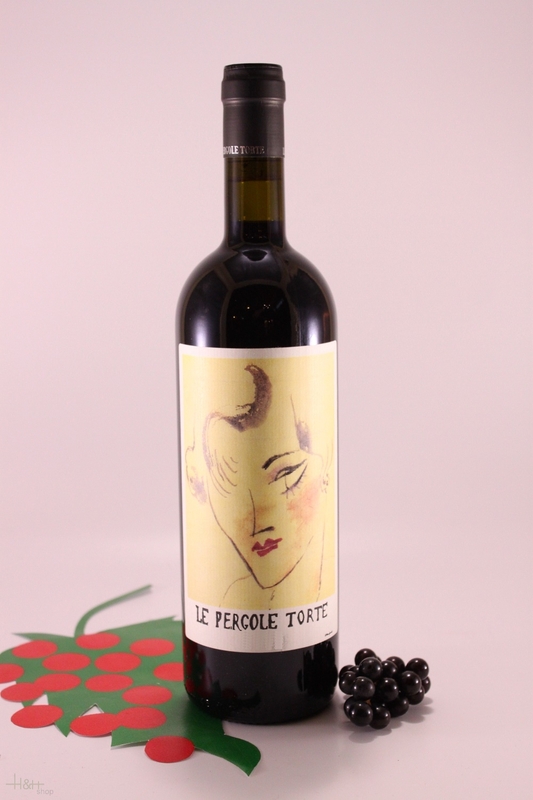 "Doctorwine" has rated the wine "Montevertine Le Pergole Torte Toscana IGT, Tuscany, Italy" from the vintage 1996 on 08.05.2012 with 88 of 100 points.
" Made from Sangiovese grapes. The cool harvest produced a subtle and slightly edgy version of this wine. The color is a lively garnet and the aroma is initially a touch balsamic, to then evolve towards citric scents, with licorice accents. The taste is 'pointed' with the acidic component a bit fissured, the tannic only hinted and the body subtle and agile. It finishes with a nice persistence. " "Falstaff Magazin" has rated the wine "Montevertine Le Pergole Torte Toscana IGT, Tuscany, Italy" from the vintage 2013 on 10.02.2017 with 94 of 100 points. "Vinous Antonio Galloni" has rated the wine "Montevertine Le Pergole Torte Toscana IGT, Tuscany, Italy" from the vintage 2013 on 01.09.2015 with 95 - 97 of 100 points. "Robert Parker The Wine Advocate" has rated the wine "Montevertine Le Pergole Torte Toscana IGT, Tuscany, Italy" from the vintage 2011 on 01.10.2014 with 95 of 100 points. "Luca Gardini" has rated the wine "Montevertine Le Pergole Torte Toscana IGT, Tuscany, Italy" from the vintage 2011 on 01.07.2014 with 93 of 100 points. "Vinous Antonio Galloni" has rated the wine "Montevertine Le Pergole Torte Toscana IGT, Tuscany, Italy" from the vintage 2010 on 01.08.2013 with 95 of 100 points. "Luca Gardini" has rated the wine "Montevertine Le Pergole Torte Toscana IGT, Tuscany, Italy" from the vintage 2010 on 01.07.2013 with 92 of 100 points. "Luca Gardini" has rated the wine "Montevertine Le Pergole Torte Toscana IGT, Tuscany, Italy" from the vintage 2008 on 01.12.2012 with 94 of 100 points. "Robert Parker The Wine Advocate" has rated the wine "Montevertine Le Pergole Torte Toscana IGT, Tuscany, Italy" from the vintage 1990 on 30.06.2012 with 100 of 100 points. "Robert Parker The Wine Advocate" has rated the wine "Montevertine Le Pergole Torte Toscana IGT, Tuscany, Italy" from the vintage 1979 on 30.06.2012 with 98 of 100 points. "Robert Parker The Wine Advocate" has rated the wine "Montevertine Le Pergole Torte Toscana IGT, Tuscany, Italy" from the vintage 2007 on 30.06.2012 with 98 of 100 points. "Robert Parker The Wine Advocate" has rated the wine "Montevertine Le Pergole Torte Toscana IGT, Tuscany, Italy" from the vintage 2006 on 30.06.2012 with 98 of 100 points. "Robert Parker The Wine Advocate" has rated the wine "Montevertine Le Pergole Torte Toscana IGT, Tuscany, Italy" from the vintage 1986 on 30.06.2012 with 97 of 100 points. "Robert Parker The Wine Advocate" has rated the wine "Montevertine Le Pergole Torte Toscana IGT, Tuscany, Italy" from the vintage 2001 on 30.06.2012 with 97 of 100 points. "Robert Parker The Wine Advocate" has rated the wine "Montevertine Le Pergole Torte Toscana IGT, Tuscany, Italy" from the vintage 1996 on 30.06.2012 with 96 of 100 points.